Attention, all people who eat food! September is Give Aloha 2016 at Foodland, Sack N Save and Foodland Farms stores! That means when you shop at any of those establishments, you can choose to make a donation to your favorite local charity. Giving is easy—just have your Maika‘i Card handy when you check out and let the cashier know that you’d like to donate to the Honolulu Museum of Art or mention our organization code 77066. Don’t have a Maika‘i Card? Customers can request a card during checkout. Any amount makes a big difference—even one dollar—because every dollar adds up, and Foodland and Western Union Foundation will match your donation. This opportunity happens only once a year, so don’t miss this chance to make your dollars go further in our community. 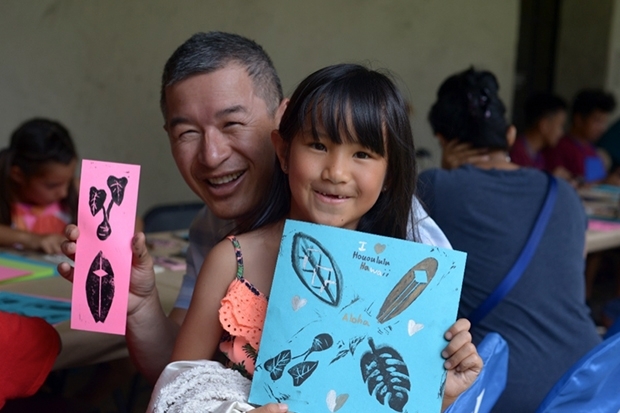 With your Give Aloha donation to the museum you make art happen for everyone from our keiki to our kupuna!